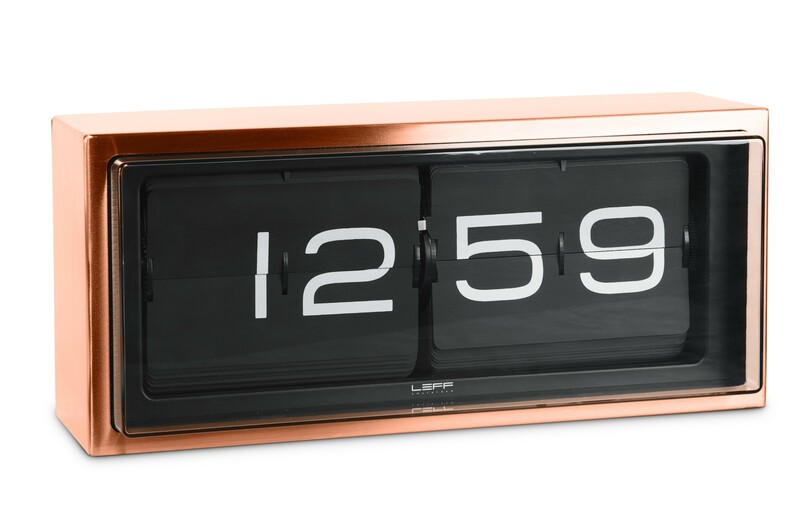 The Brick resembles retro clocks from the Seventies, but without ever looking cheap. 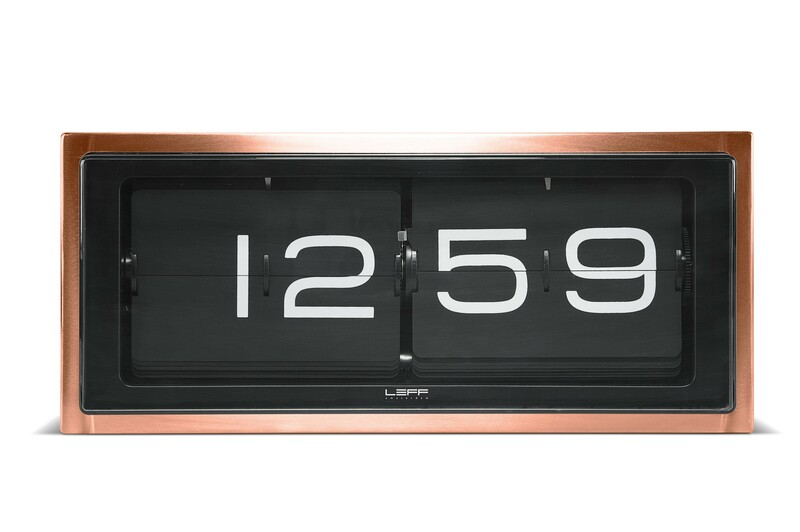 The metal case makes the clock look vintage and contemporary at the same time. 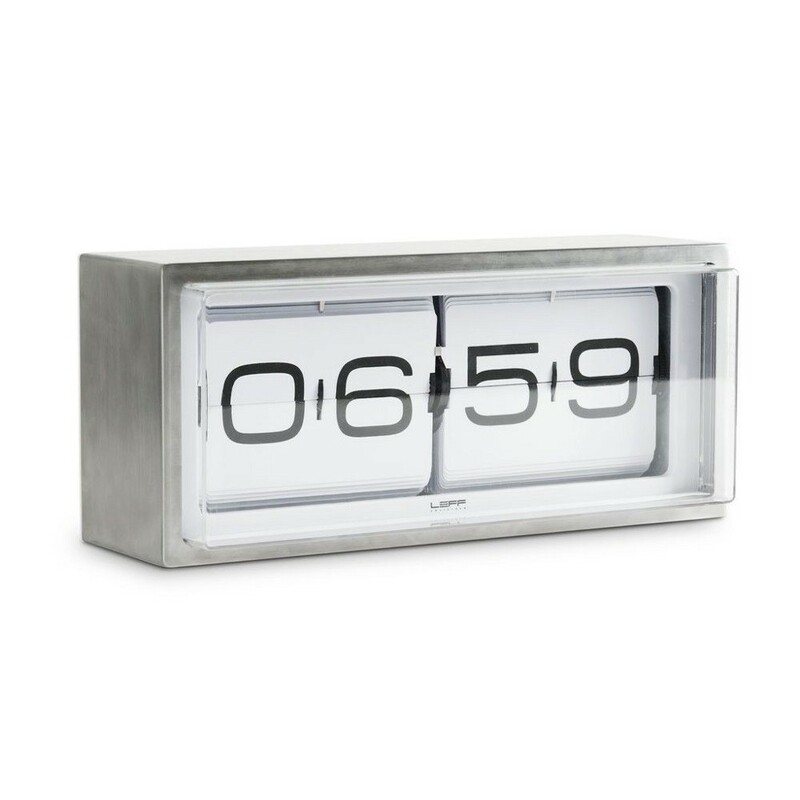 The flip clock automatically indicates every new minute. 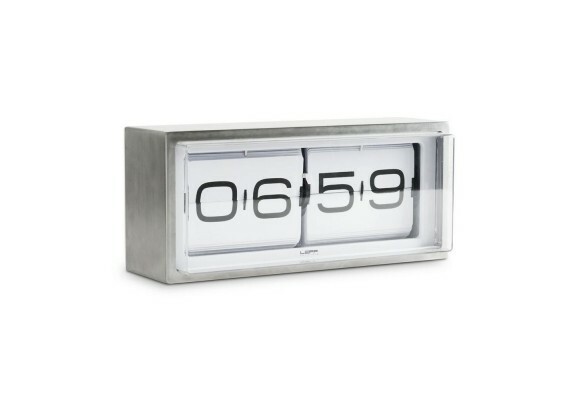 You can hang it on a wall or place it on a sideboard. 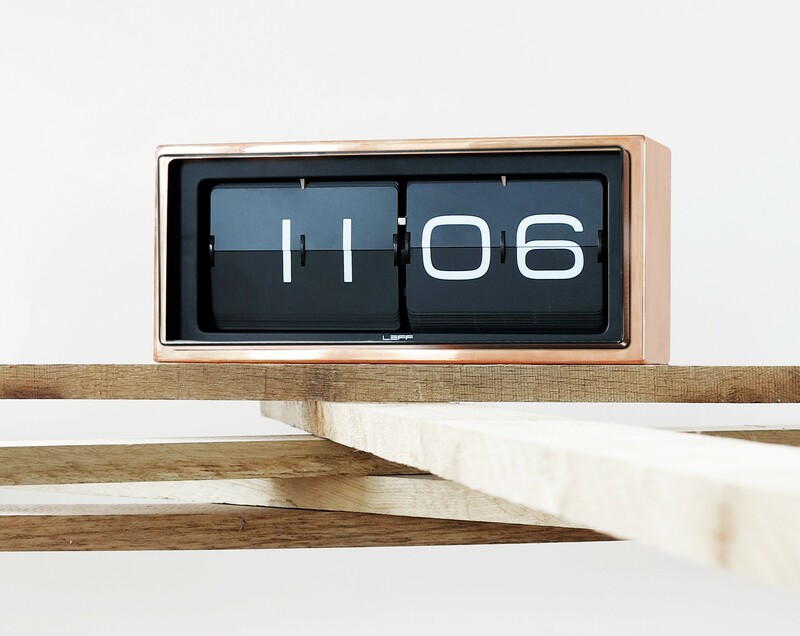 Designed by Erwin Termaat for LEFF Amsterdam. Dimensions: 36 cm x 15.7 cm x depth 12.8 cm. Contains: 2 x D battery, cleaning rang, 2 x screw & plug, 5-year warranty certificate.